YES!! I want to Buy the DVD Now! 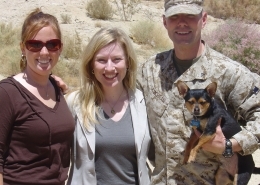 ABC7 Salutes featured the military family documentary While Time Stands Still and Marine Corps wife / filmmaker Elena Miliaresis. 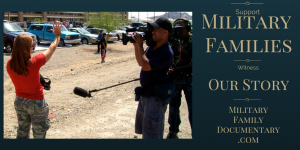 The piece that aired on KABC showcased how Miliaresis started work on the film and the impact screenings have had on the community. While Time Stands Still follows the inspiring journey of three military wives during the Iraq War. 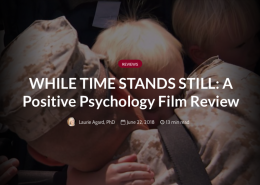 The military family documentary While Time Stands Still is a love story that follows the journey of three Marine Corps wives during the Iraq War. The military family documentary While Time Stands Still will be featured on on ABC7 Salutes Friday, February 14 during the 6 o’clock news. Director Elena Miliaresis talked with KABC reporter Josh Haskell about her work to help military families and raise support for the military community through screenings of her film and discussions about the challenges of wartime deployment and how to put the pieces back together afterwards. The film follows the inspiring journey of three wives during the Iraq war. Filmmaker Elena Miliaresis sat down with KABC reporter Josh Haskell to talk about her documentary While Time Stands Still. While Time Stands Still is the story of what families go through during wartime. The film is an inspiring journey of love and sacrifice, a must-see. The interview will air Friday, February 16 on KABC on the abc7 Salutes segment on the 6 o’clock news. Catch an encore presentation of the military family documentary While Time Stands Still on PBS in North Carolina. It airs today at 2pm EST on The North Carolina Channel. If you don’t live in North Carolina, you can get a copy of the film at MilitaryFamilyDocumentary.com. 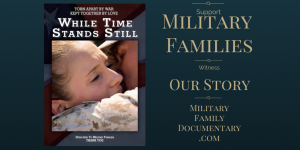 The Military Family Documentary While Time Stands Still will be airing on PBS in North Carolina on The North Carolina Channel on Valentine’s Day. This Valentine’s Day, tune to PBS: The North Carolina Channel and watch While Time Stands Still, an inspiring story of love in the military. 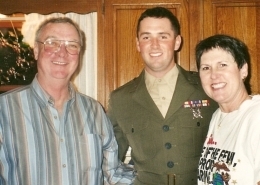 See what it is like to be a military family during wartime. 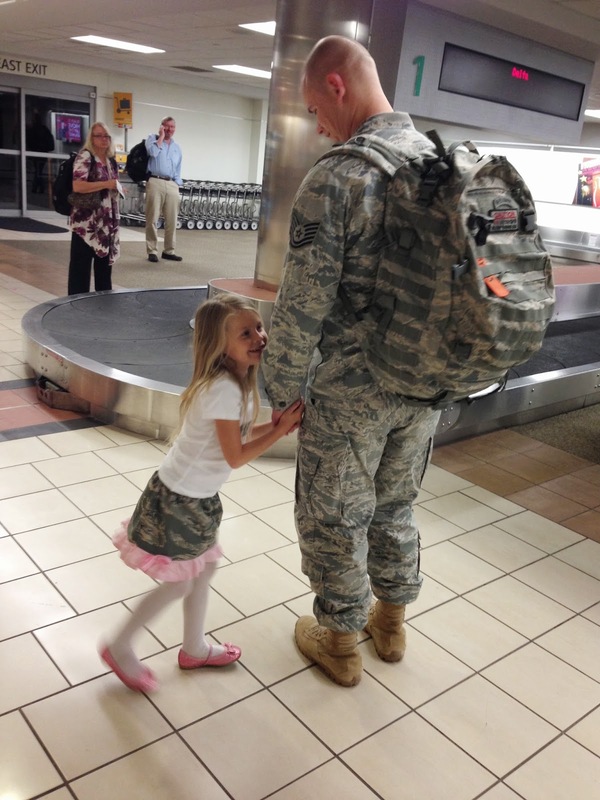 A must see for everyone who loves someone in the military. Red Cross May 12th Screening of While Time Stands Still will be rescheduled. New date will be posted as soon as it is available. Thank you to moms, today and everyday! 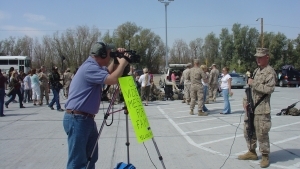 A special thank you to all the mothers who shared their story for the military family documentary While Time Stands Still. Your love and sacrifice is not unnoticed. 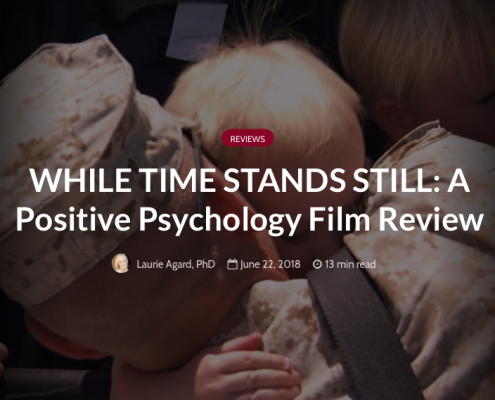 If you are in the Washington DC area on Saturday, May 9, Catch an interview with Director Elena Miliaresis on WNEW NEWSRADIO 99.1 and learn more about the Military Family documentary While Time Stands Still. The interview is part of the Weekly Entertainment and Movie Review. While Time Stands Still will be officially released via MilitaryFamilyDocumentary.com on Frieday, May 8th in honor of Military Spouse Appreciation Day. Spread the Word!!! So exciting!!! 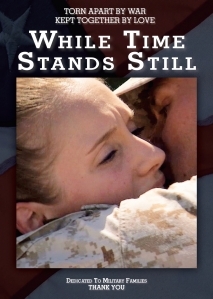 While Time Stands Still goes on SALE on Friday, May 8th in honor of Military Spouse Appreciation Day. It feels all the more real since the press release for the film went out today. Please share the news with everyone and anyone you know, especially, someone who could generate press coverage and social media. Spread the word. Will be in attendance for introduction of film and Q & A! Documentary Filmmaker Elena Miliaresis on Veterans Day Live! Tune in to hear filmmaker Elena Miliaresis talk about her inspiring documentary about military families While Time Stands Still as part the ‘Women Empowerment’ series on Veterans Day Live! 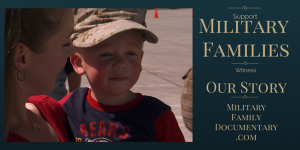 http://militaryfamilydocumentary.com/wp-content/uploads/2014/11/Banner-Center.jpg 0 0 MilFamDoc http://militaryfamilydocumentary.com/wp-content/uploads/2014/11/Banner-Center.jpg MilFamDoc2015-02-20 10:25:482015-03-16 12:46:59Documentary Filmmaker Elena Miliaresis on Veterans Day Live! If you need a smile, this will surely do it. This is one of our favorite family moments caught on camera. May you always have wonder in your heart that bowls you over. Happy Holidays! 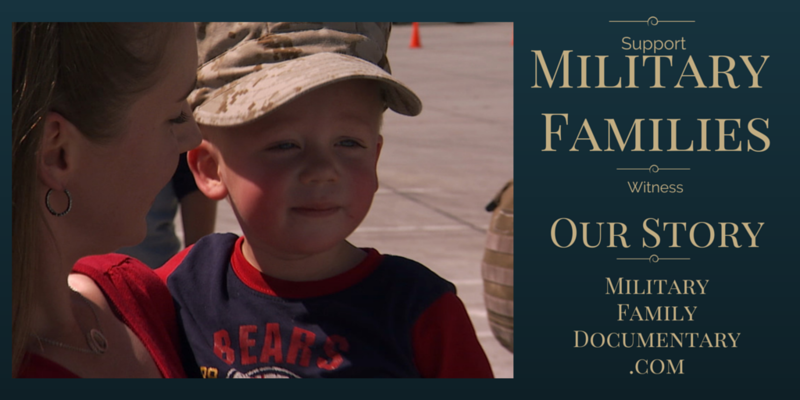 http://militaryfamilydocumentary.com/wp-content/uploads/2014/12/IMG_2622.jpg 1500 2666 MilFamDoc http://militaryfamilydocumentary.com/wp-content/uploads/2014/11/Banner-Center.jpg MilFamDoc2014-12-21 23:25:092014-12-21 23:25:35Happy Holidays! 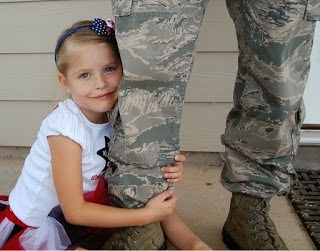 http://militaryfamilydocumentary.com/wp-content/uploads/2014/12/IMG_0156.jpg 2448 3264 MilFamDoc http://militaryfamilydocumentary.com/wp-content/uploads/2014/11/Banner-Center.jpg MilFamDoc2014-12-06 15:59:502014-12-06 16:12:17Picked Up DVDs!! 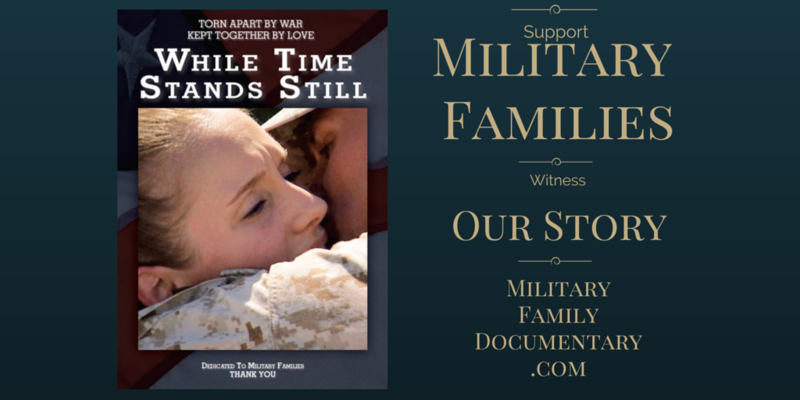 We are creating a new site for While Time Stands Still, the documentary about Military Families.